Surfrider Beach at Malibu needs no introduction. Unfortunately, neither do the water quality problems. 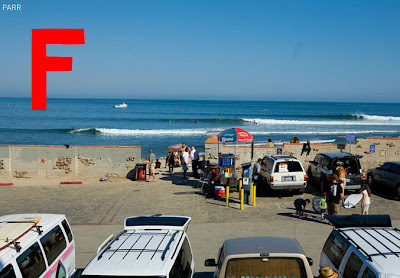 Malibu has been a chronically polluted beach for decades, consistently getting an "F" on Health the Bay's beach water quality report card. One of the primary culprits is over-capacity and improperly sited septic systems. For years, the City of Malibu has resisted constructing sewage systems as an anti-growth measure while polluting nearby beaches. 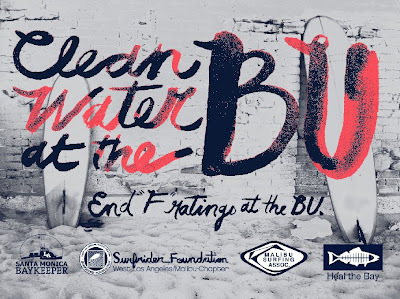 Thanks to a strong coalition that included the Malibu Surfing Association, Heal the Bay, Santa Monica Baykeeper and the West LA / Malibu Chapter of the Surfrider Foundation this all changed last Thursday when the LA Regional Water Quality Control Board voted to eliminate septics from Malibu and force the City to install waste water treatment systems. Read more about the outcome here and here and in the LA Times here. $: Poor water quality is a public health burden that has costs. Water quality contamination can cause skin rash, eye and ear infections, significant respiratory disease and Gastrointestinal (GI) illness. These illnesses have a variety of economic costs -- ranging from medical expenses to lost time at work to non-market impacts. At Malibu, Given and Pendleton (2006) estimated that were were 25,000 to 100,000 excess GI illness (meaning above allowable level of illness at clean beaches) in Malibu due to poor water quality. This results in $1.1 to $4.2 million in public costs annually due to illness associated with contaminated water in Malibu. $: Clean water has benefits. Clean water attracts more visitors who spend money (economic impacts) and clean water increase their enjoyment (consumer surplus). Hanemann & Pendleton (2004) looked at economic benefits of improving beach water quality at Malibu Surfrider Beach by one letter grade. From a C to a B. They showed that improving water quality at Malibu Surfrider would have two impacts on beach goers. First, the number of trips taken to Surfrider beach would increase by 1,538 visits per year. The second major impact of an improvement in water quality is the annual consumer’s surplus of beach users improves by more than $140,000/ year. In addition, the total economic impact (local spending) would increase by $45,000/year. These are the benefits for one grade. The benefits would be much higher for a 3 or 4 grade level improvement (F to B/A)*. *The model is nonlinear so you cannot use these figures to extrapolate directly. These studies show that improving the water quality in Malibu will reduce the high public welfare burden associated with poor water quality and result in increased visits, increased societal benefits (consumer surplus benefits) and increase economics impacts (spending associated with beach visits). You can read more detail and see the references in my testimony here.